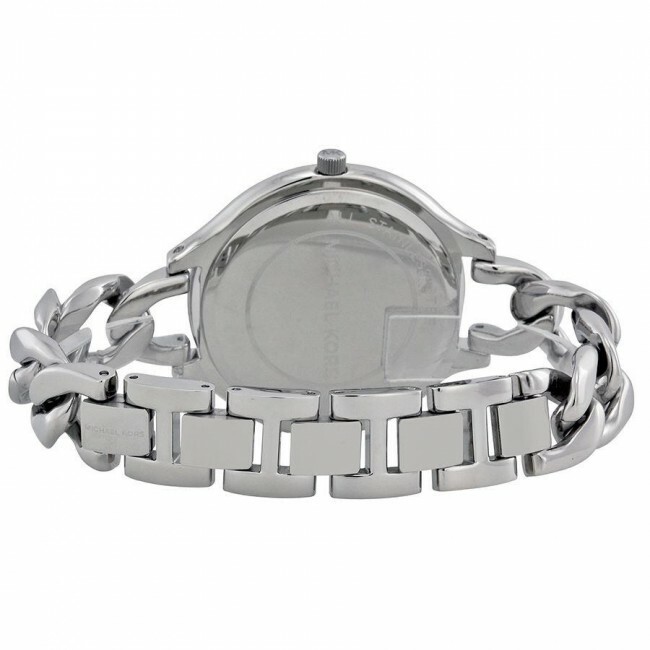 It fastens with an curb chain bracelet and is powered by a quality quartz movement. 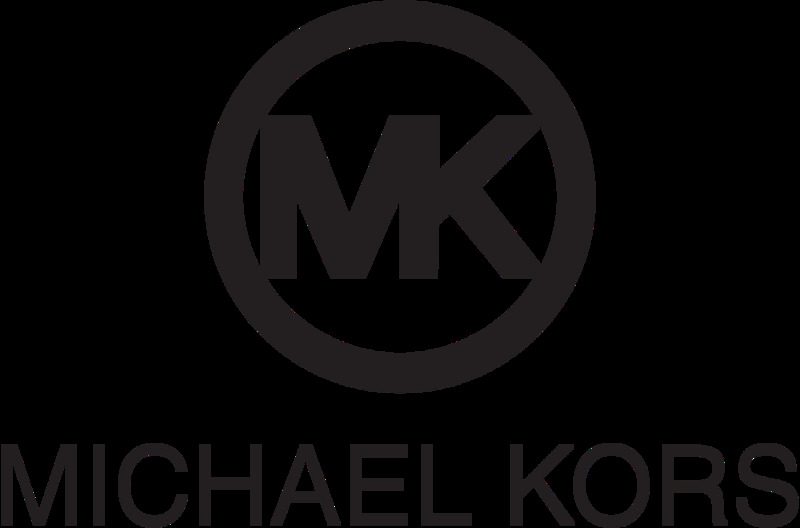 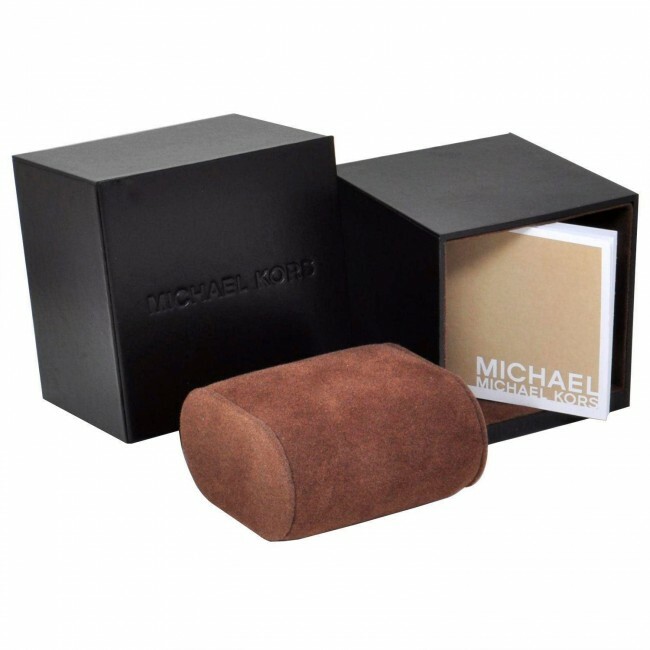 From the Slim Runway collection by Michael Kors. 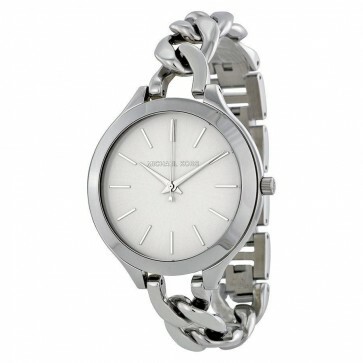 This timepiece is made from stainless steel and has a white dial. 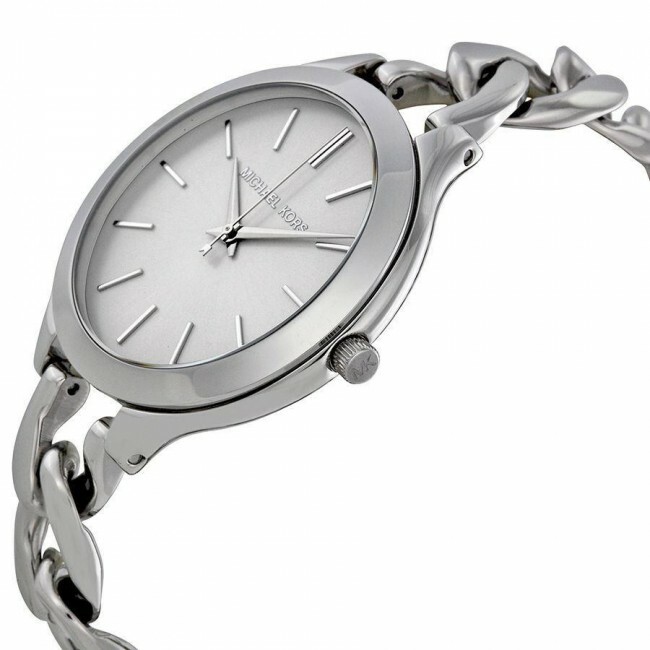 The elegant dial is elegantly set with silver baton hour markers and hands. 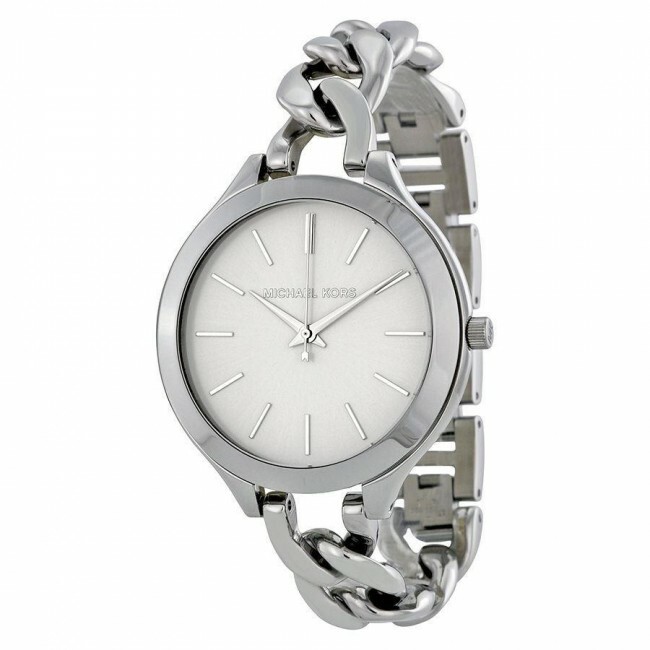 It fastens with an curb chain bracelet and is powered by a quality quartz movement.